On his 59th. Birthday King George IV arrived in Ireland and much to the annoyance of the people of Dun Laoghaire his visit was to Howth. According to all reports he was in “high spirits” [i.e. totally drunk]. 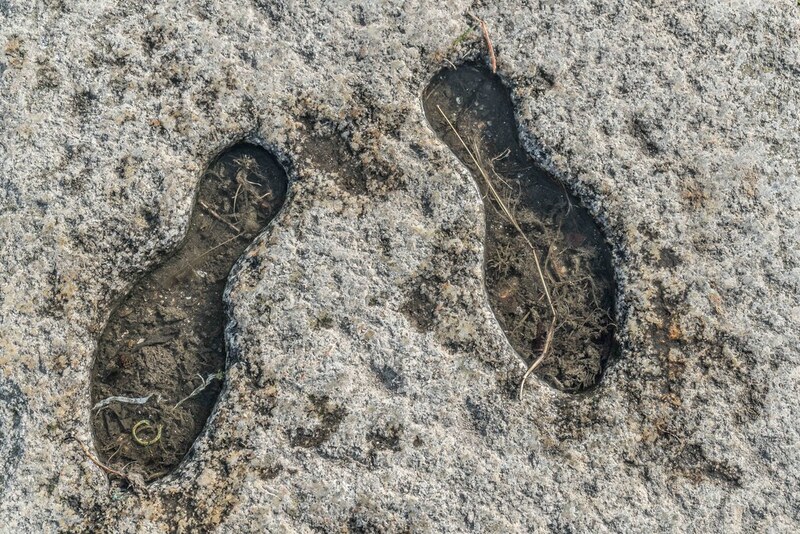 While in Howth a local stone mason, Robert Campbell, recorded the King’s footprints and you can still see them there today. 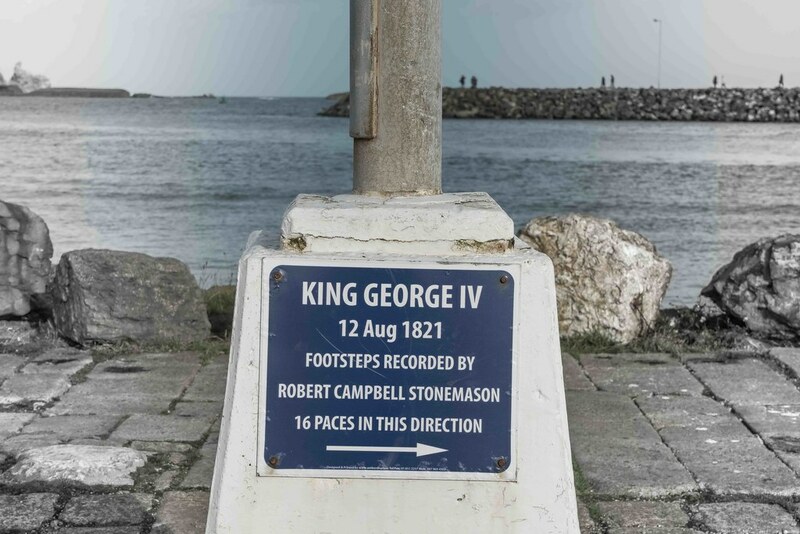 The King stayed in Ireland for a number of weeks and exited the country via Dun Laoghaire which was then renamed ‘Kingstown’ in honour of the visit. In 1922 the name reverted back to Dun Laoghaire.